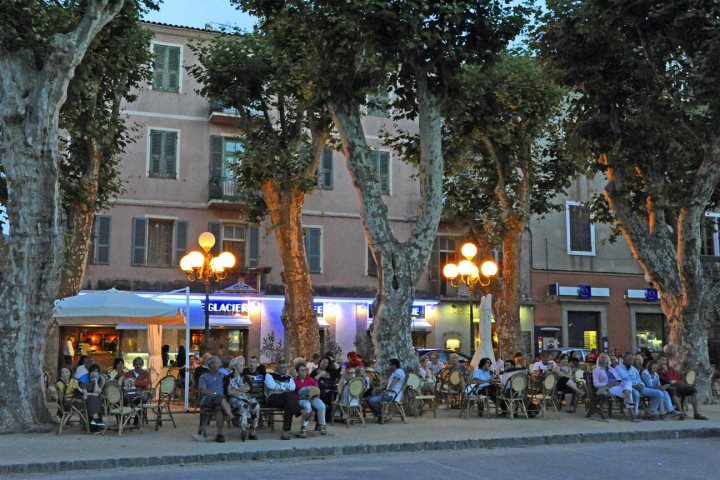 With an abundance of beautiful scenery, superb restaurants, cute little cafés and long sweeping sandy bays, it may not surprise you to know that no matter what region of Corsica you visit, you're sure to find a romantic setting or two. L'Ile Rousse in Corsica's La Balagne region is a perfect example, as with its authentic marketplaces, quaint cafés and bustling local square, not only will you get a good flavour of what it is to be Corsican, but it also offers the ideal setting for you to a find a romantic spot where you can watch the world go by. 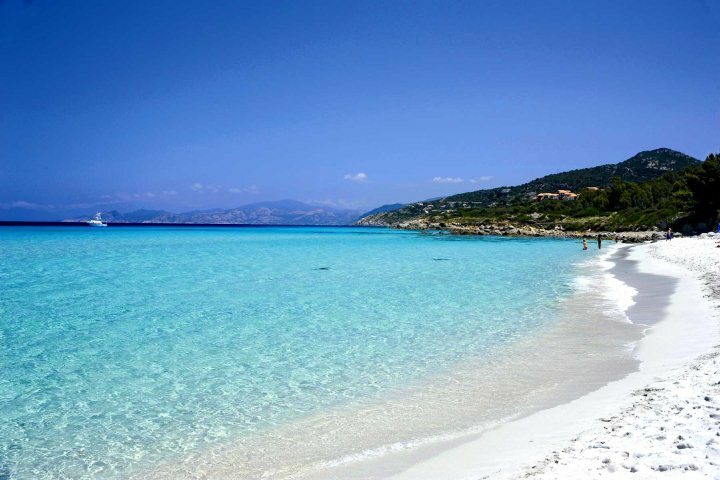 There's also a beautiful white sandy beach here if you're tempted more by the crystal clear waters. 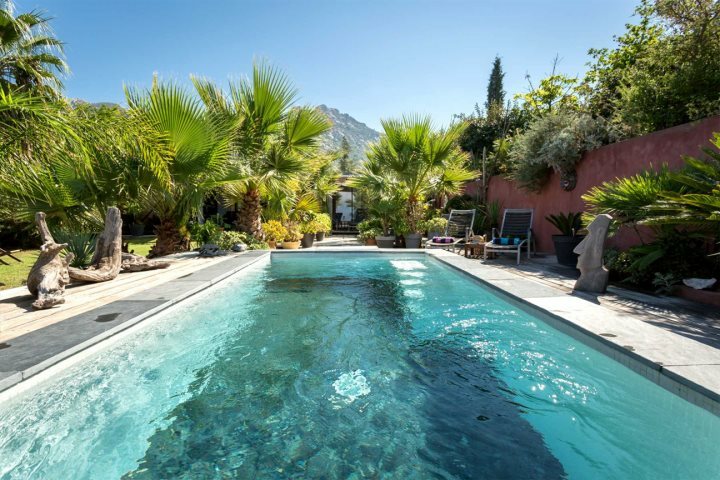 If L'Ile Rousse has taken your fancy as a good romantic spot, then just a 15-minute drive away you can find Casa Acciani. 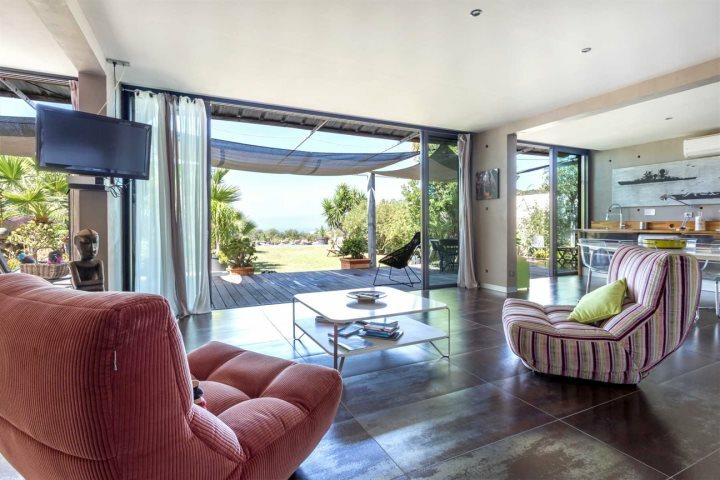 Located in Lumio, which also happens to be a fantastic spot for unspoilt beaches, this one-bedroom villa incorporates stylish design with fabulous private gardens and an inviting pool, plus you'll get to enjoy the superb sea views out across the bay. 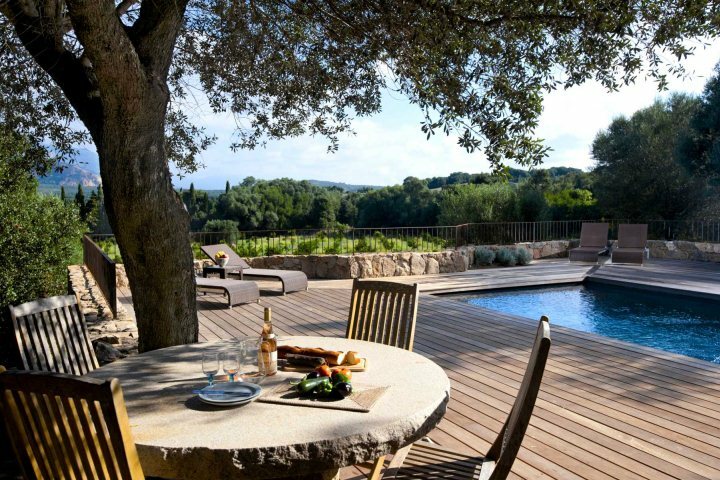 This stylish bolt hole is highly recommended for a romantic holiday in Corsica for two. Heading north to St Florent and the north east, an entirely new landscape awaits. The region boasts dramatic mountains, which separate bustling fishing villages, and medieval buildings offer a glimpse into the area's vast and varied history. 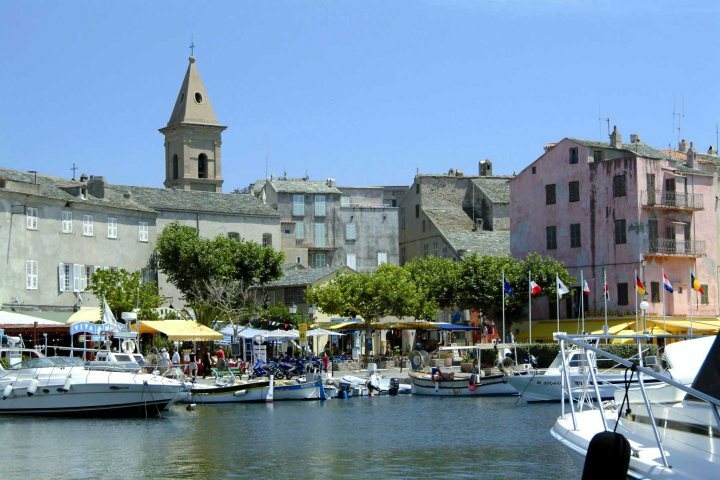 St Florent's town centre offers a maze of narrow streets and passages placed between the harbour and the Citadel, and with a great selection of restaurants, dinner and an evening stroll along the waterfront makes for a wonderfully romantic evening. To make the most of this beautiful area, enjoy a stay at Chez Pamela. 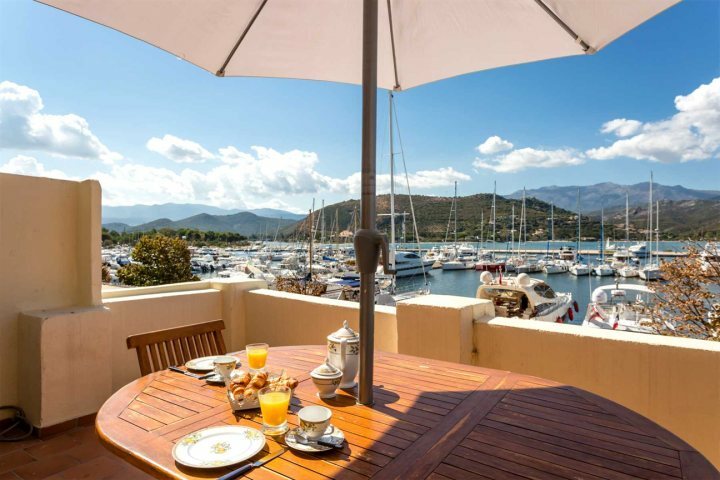 Overlooking the lively port of St Florent, Chez Pamela is perfectly placed for couples to enjoy the selection of restaurants and cafés, or to simply watch the world go by from the property's large balcony. 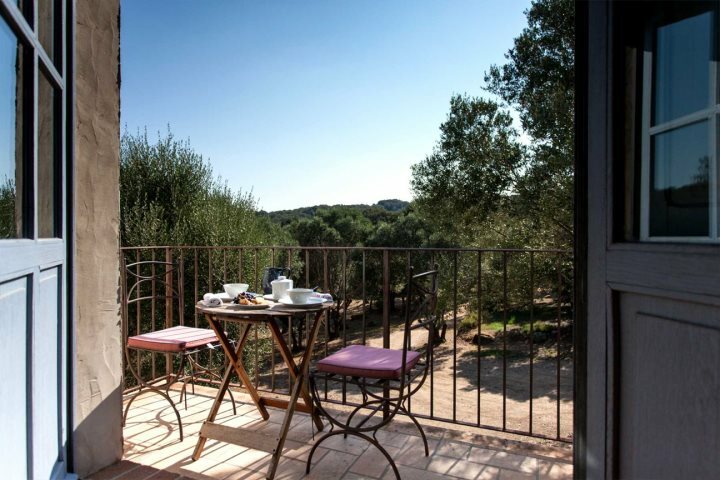 If instead you're looking to get away from it all and enjoy your own quiet retreat with beautiful vistas, see what you think of Villa Bicu Rossu. 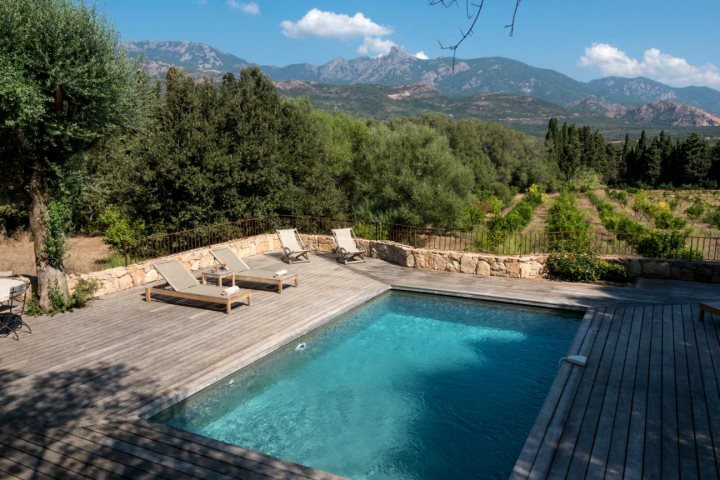 Located in Tarrabucceta, a few kilometres north of Figari in the south of the island, here you can enjoy delightful mountain and olive woodland views, plus a private pool – and you're still within easy reach of some of Corsica's most alluring beaches and historic towns. 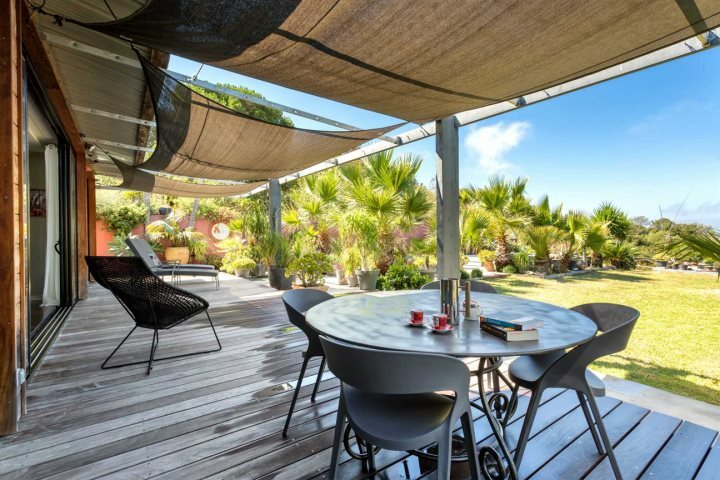 Mixing a modern style with aspects of a traditional Corsican bergerie, the property itself is tastefully designed and offers lots of outdoor space for al fresco dining. If you’d like to find out more about romantic holiday to Corsica, visit our romantic retreats page, or give our sales team a call on 01489 866931.